It's the season for baking! FoodLove! was asked to do our veggie deliciousness demo at the Amherst Winter Farmer’s Market this Saturday from 11:45 am to 2:00 pm. This date was just added to our schedule of Winter Fare participation and we’re thrilled to join CISA yet again! Allright, bread time! I have a super-simple, works like a charm bread recipe BUT I have no photos of these gorgeous loaves so that recipe will have to wait for another week. Take heart! I have a second-easiest (maybe easier, really) bread recipe but all credit for this guy goes to King Arthur Flour, which by the way, if you like to bake should be one of your go-to resources. These people know baked goods and they offer tons of friendly support via their blog or by phone where you can contact them with simple to complex questions and get spot-on answers. So, what are we baking? 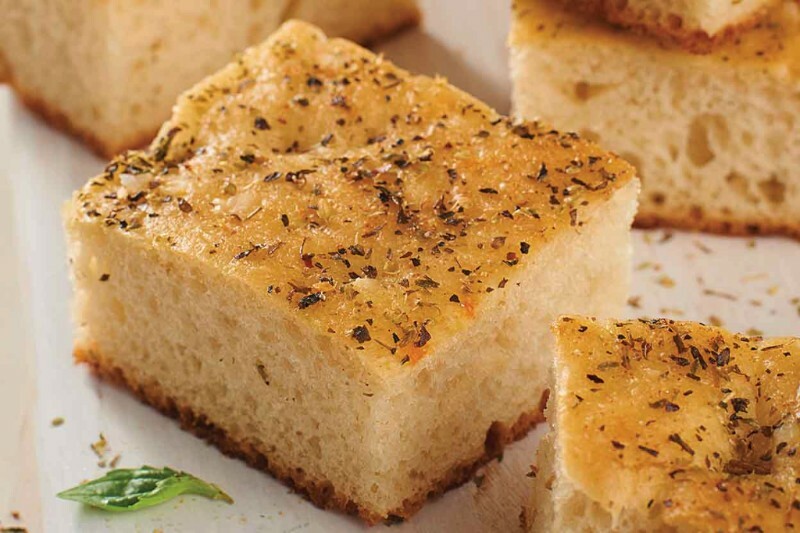 Just about the easiest focaccia I’ve ever made! Here’s a link to their site where the recipe for Blitz Bread lives but I’ll include it here, as well. Combine all of the ingredients, and beat at high speed with an electric mixer for 60 seconds. Scoop the sticky batter into the prepared pan, cover the pan, and let it rise at room temperature for 60 minutes, till it's become puffy. While the dough is rising, preheat the oven to 375°F. Gently poke the dough all over with your index finger. Drizzle it lightly with olive oil, and sprinkle with pizza seasoning, and/or the dried herbs of your choice, if desired. Bake the bread until it's golden brown, 25 to 30 minutes. Remove it from the oven, wait 5 minutes, then turn it out of the pan onto a rack. Serve warm or at room temperature.